This true story of the Bai Family in China traces how their devotion to truth placed them on a collision course with the Communist Party. When they became practitioners of Falun Gong, it paved the way for a painful and torturous, yet enlightening, path in life, especially for the two brilliant brothers Xiaojun and Shaohua. After the Chinese Communist regime began its systematic repression of Falun Gong practitioners in 1999, Bai Xiaojun was tortured to death in one of the laogai or "re-education through labour" camps. His brother Bai Shaohua also disappeared in another such prison for three years. Through blood and sweat, Shaohua made it alive out of prison but was once again abducted in early February, 2008.The details in this gripping account of how Falun Gong practitioners are being repressed reveal the larger pattern of life, and death, under a totalitarian regime.Authors Long Tu and Yuan Meng, now living in Canada, compiled this account through personal contact with members of the Bai Family. They also write from personal experience. Long Tu is a computer program designer and Yuan Meng an architect and urban designer. Yuan Meng was herself imprisoned for 16 months in a laogai camp before leaving China, where unusual "meals" caused her body to swell and her back bones were broken during the persecution. 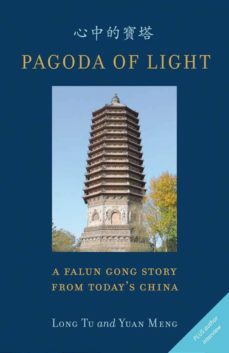 They now live in Toronto and wrote Pagoda of Light to honour their imprisoned friends, noting that "the experience of the Bai family is but one of thousands of examples."